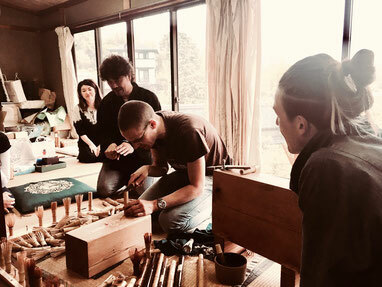 On the 24th of April 2018, Adamu Shachū visited Tango Tanimura at his atelier in Takayama, Nara. 7. 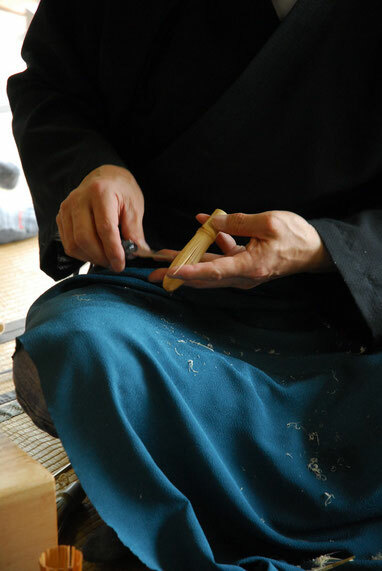 Shi-age 仕上げ - The inner tines are twisted to give the chasen its final shape, then the finishing touches are made by the craftsperson. 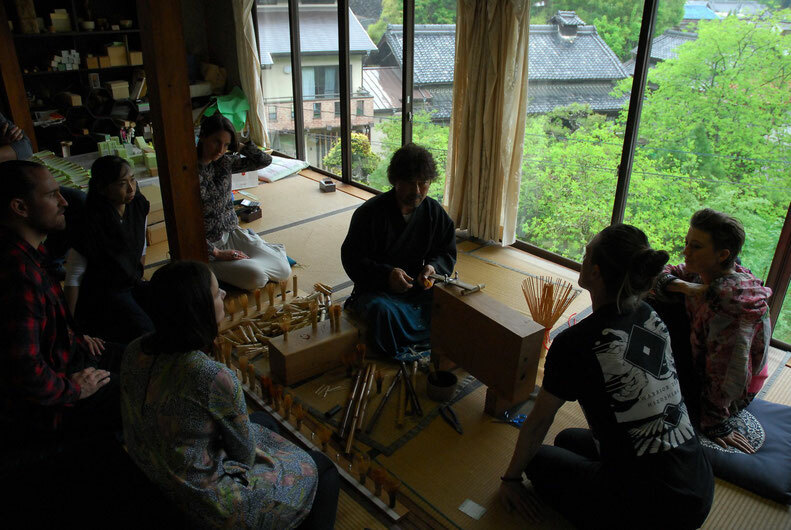 The Adamu Shachū folk also collected a pretty healthy order of black bamboo (kuro-chiku) chasen from Tanimura-san. Black bamboo is a new material used for chasen. 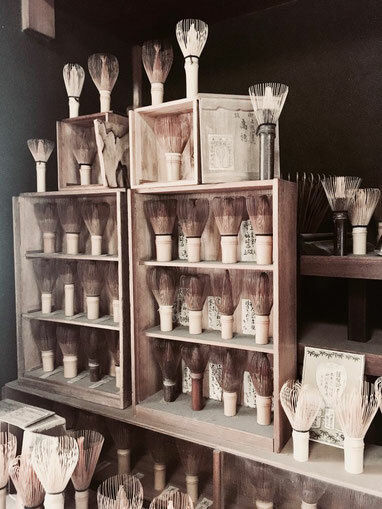 As the preferred chasen of the different schools of chanoyu were decided before black bamboo was in use, it's hard to get traction for the material. 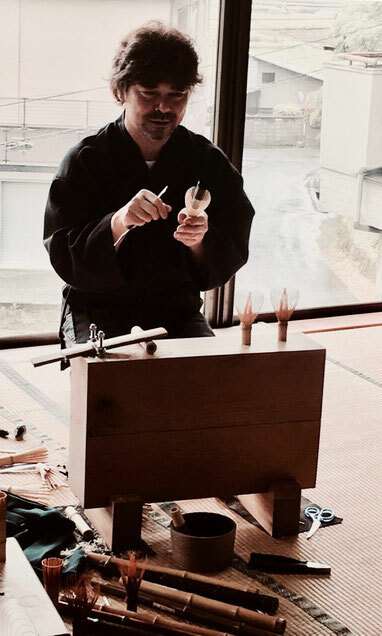 Adamu Shachū prefers chasen made from black bamboo as the appearance of each piece is unique and black bamboo last far longer than either white or smoked bamboo chasen. Chasen and hishaku are the two items that can't be substituted in chanoyu. The skill and time required to carve each piece is considerable. Chasen made outside Japan can be bleached white and this process destroys the fibres, making the chasen deteriorate quickly, not to mention the horrible chemical residue. 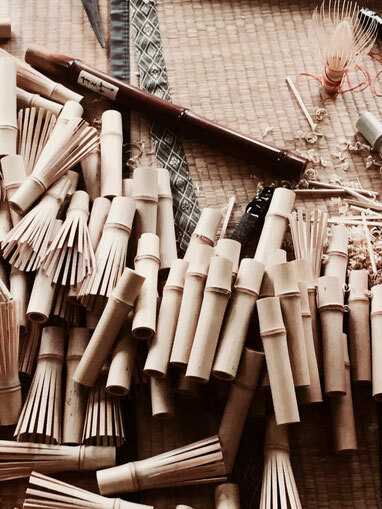 I recommend selecting chasen of high quality and durable black bamboo (kuro-chiku). Money can be saved in other areas of the practice. Tanimura-san is charming and inviting. He could easily have been a rock star, but instead all that passion and flair is going into his chasen. 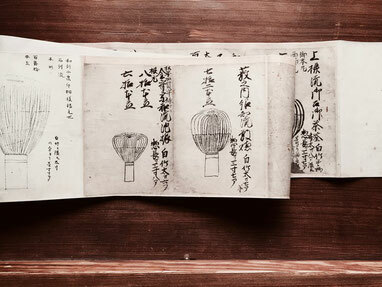 From all of Adamu Shachū, thank you Tanimura-san. You're a legend.